Mankind is on the verge of being presented with a temptation that will affect you at the utmost level of your soul. Most men are fascinated by the possibility of time-travel and space-time. And most men fear death and would seize the chance to prolong their lives in space-time. Time-travel and prolonged life are the two most powerful temptations proffered by space-time (the filthy rag). But to enter into space-time is to break a sacred Covenant with God that is in place for your own protection. Not only is time travel possible, it unfolds all around you, but the means to do so is kept a dark secret. One group hides it from us for our own good because it is the ultimate temptation, and it leads us away from Heaven. Others keep it a secret for vast financial gain and political power. Long ago only the Levites had the knowledge of time travel, but it was wrenched from their hands. It doesn’t require a time-machine to travel in time. Fictitious stories such as ‘Bed knobs and Broomsticks’ ‘Aladdin’ (and his flying carpet), ‘The Wishing Chair’ and the plethora of time-travel movies coming out of Hollywood, are all subconsciously preparing mankind for the reality of time-travel. But I caution you, while it is all too easy to take the first step into space-time, it is impossible to return to a normal life in real-time. God setup our system of days, weeks, months and years. He intends for us to observe this method of keeping time. If you doubt that real-time is important to God, enter the word ‘time’ into the search engine of the Blue Letter Bible http://www.blueletterbible.org/ and you’ll see that the word occurs 619 times in 562 verses in the KJV. Why would the word ‘time’ appear in the Bible with such frequency if time didn’t matter to the Lord? And search the Bible for other time related words, such as ‘day’ which occurs 1732 times in 1,533 verses in the KJV. 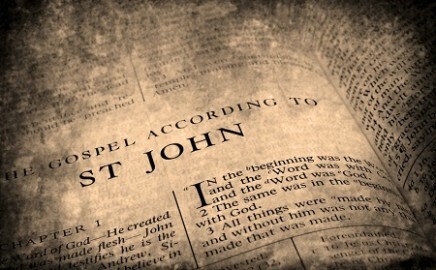 The word ‘year’ occurs 367 times in 322 verses in the KJV. The twenty-four elders represent the twenty-four hours in a real-time day, and the seven seals represent the seven day week. Time-travel has always been possible, and it has always been forbidden. Indeed, knowledge of time travel is the forbidden fruit of Eden: to eat of it means certain banishment. For where is the one who can resist the ‘magic’ of being transported through time to another era? The many references in the Bible to the numbers that divide time act as as an aid to our adherence to real-time. So, before you embark on a journey to a different time-frame, ask yourself whether you’re going to allow curiosity to break divine Law. If we ‘cling tightly to what we have’ (Revelation 2:25) and stay in our own time frame, we will inherit the perfect, ‘angelic’ form that is reserved for the inhabitants of Heaven. If one chooses to step into another time frame they had better strive to stay alive forever, because to die in space-time is to be born as a cold-blooded fiend whose habitation is Hell. Knowingly or unknowingly, those who travel from one time zone to another have chosen cold and dark instead of warmth and light as their ultimate fate. The very sacred time frame we live in is ordained by God, and it is the only route to Heaven. While we remain in our own time frame we are still in the Divine Potter’s kiln. This world is not perfect, but we aren’t in it for long. We don’t have a very long life span in our time frame and once it’s over we have the promise of the completed body, and Heaven. Time is the progressive passage of events that takes one from the cradle to the grave. There are other definitions of time two of these being, “gravity” and “electromagnetism”. The time zone that we live in, real-time was established by God and is set down in Genesis. In fact, the very first chapter of the Bible is devoted entirely to the simultaneous creation of life and time. If you doubt this, please read Genesis again taking note that God created life during the unfolding of the seven-day week. He rested on the seventh day. How often the Bible is opened and read without any understanding of these important first verses. It is vital to God that we respect the Covenant of Time that we have with Him. That covenant prohibits us from going back (or forward) in time. But most ordinary men go back in time. Deuteronomy 29:12 “`abar beriyth Yehovah ‘elohiym ‘alah Yehovah ‘elohiym karath yown” is one of several passages that refer to the ‘Covent of Yowm’, Yowm is a vital word to understand. Yowm means ‘Time’ and ‘Day’ and ‘Yowm’ is one of God’s names. In Genesis 1:5 ‘yowm’ means ‘day’; in Genesis 4:3 it means ‘time’; and where ‘shem’ and ‘yowm’ appear together as ‘shem yowm’ it means ‘my name is Day’. Only one entity says ‘shem yowm’ and that is God. The words appear together in Deuteronomy 10:8 …sharath barak shem yowm. In Genesis 5:2 we see ‘shem Adam’, in Genesis 5:3 we see ‘shem Seth’, in Genesis 19:38 we see ‘shem Benammiy”, Nehemiah 9:10 ‘shem yowm’, Psalm 44:8 ‘elohiym halal yowm yadah shem `owlam selah “God praise you day confess (your) name future exalt: “God be praised daily we confess your exalted name ‘future’. The word ‘`eth’ also means ‘time’ in the sense of ‘uninterrupted time’ `eth is from ‘`ad’ ‘continuing future’ ‘continuity’ and ‘futurity’. In ‘`ad’ is always the sense of ‘forwardly progressing time’. And ‘`ad’ is from ‘`adah’ which means ‘advance’ ‘continue’ ‘move forward’. The words ‘`eth Yehovah’ appear together in Deuteronomy 10:8 (and elsewhere) and are mistakenly portrayed as ‘at that time the LORD’ but in fact it means ‘futurity LORD’ ‘forward moving time LORD’ and ‘progressive time LORD’. Deuteronomy 10:8 Futurity Lord (Lord of uninterrupted time) separated the tribe of Levi, to bear the ark of the covenant of the LORD, to stand before the LORD to minister unto him, and to praise His name, Day (shem yowm). Deuteronomy 29:12 “pass along covenant LORD God made oath, Lord God made day”. Genesis 1:28 And God blessed them, and God said unto them, Be fruitful, and multiply, and replenish the earth, and subdue it: and have dominion over the fish of the sea, and over the fowl of the air (in this passage ‘shamayim’ is correctly rendered ‘air’), and over every living thing that moves upon the earth (not universe). And here, we lose our dominion: Daniel 7:12 As for the rest of the beasts, they had their dominion taken away: yet their lives were prolonged for a season and time. The word ‘beasts’ is very misleading and does not communicate the intended meaning. The Aramaic word that has been interpreted as ‘beasts’ is ‘cheyva’ from ‘chaya’ (Aramaic ), both words refer to a category of man who has ‘prolonged life’ in other words, a rebellious people who have extended their life spans beyond the ‘zeman’(‘appointed time’ from ‘zaman’ also ‘appointed time’ ‘allotted time’). So this passage does not refer to a bizarre form of animal, it refers to humans who have tricked nature into prolonging their life spans. The next famous passage tells us about the ruler of the men (with prolonged life). These men (called ‘cheyva’ in the bible) are under a ruler who is also described as a ‘beast’. This world ruler negates God’s Law of set-time (real-time): Daniel 7:25 And he (the ruler) shall speak words against the most High, and shall wear out the saints of the most High, and decide to change time laws: and they (time laws) shall be given into his hand until a time and times and the splitting (dividing up) of time. “cebar shena’ zeman dath yehab `ad `iddan `iddan pelag `iddan” (intend change established-time-law given hand space-time time time half time). The word ‘`ad’ is not refers to both ‘space’ and ‘time’. And `iddan means both ‘space-time’ and ‘filthy rag’. In other words, space-time is ‘a filthy rag’ and no semblance of real-time. Under the defiant ruler called ‘little horn’ ‘real-time’ as it was established by God, is cut up and replaced with the filthy rag of ‘space time’. The sacred veil that covers time is ripped apart and to reveal ‘space-time’. Daniel 7:26 The judgment shall sit, and they shall take away his dominion, to consume and to destroy [it] unto the end. Tearing the veil of time in half to reveal the filthy rag of space-time is contrary to God’s Law as we can see from Genesis 8:22 ‘erets yowm zera` qatsiyr qor chom qayits choreph yowm layil shabath Genesis 8:22 earth days, seed harvest, cold and warmth, summer and winter, day and night observe in order [as the] sabbath. You will notice that the word “space” is not used often in the Holy Bible, and when it is, it is not used in the common way. Mankind has only relatively recently learned to associate “space” with “time”. Time occurs 620 times in 563 verses, while the word space occurs only 27 times in 26 verses. If you find these verses in the Holy Bible, you will notice that “space” is most often used to indicate “time”. Lev 25:30 And if it be not redeemed within the space of a full year, then the house that is in the walled city shall be established for ever to him that bought it throughout his generations: it shall not go out in the jubile. Though it has gone unnoticed, the Holy Bible measures space, as “time”. Here space is measured in cubits: Jos 3:4 Yet there shall be a space between you and it, about two thousand cubits by measure. In the normal context of the following sentence modern mankind would replace the word “space” with the word “time” Ezr 9:8 And now for a little space grace hath been [shewed] from the LORD our God. From Genesis, we can see that “time” as we understand it, has been established by God. The system should not change: Genesis 8:22 While the earth remaineth, seedtime and harvest, and cold and heat, and summer and winter, and day and night shall not cease. Consider this: since it is GOD the Father Almighty, The Ancient Of Days, who established our existing ‘time’ system of calendar days, when the system changes, who would be behind the change? The aliens who interact with humans are an older race, but they are not a biologically advanced race – one determines whether or not a race is advanced by their biology not by their technology. Nephilim/Anakim/Emin biology stopped progressing long ago and has since been in a state of decline. Humans are a young race and human biology is progressing. They are an ancient, inferior race. They have had a long time to work on their technology and their technology is advanced over human technology. 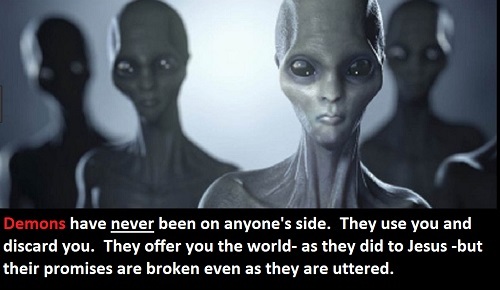 But, and they will never admit it, they are biologically very inferior to humans. Would you rather have advanced technology and a frail and failing body? Or would you rather have greatly advanced human biology? For my part I would rather rub two sticks together to make a fire than sacrifice my human biology for electricity; and I would rather walk on my own two sturdy feet than sacrifice my biological advancement for a spaceship.